joy to the birthday child and to all your party guests. tumble track, trampoline, and obstacle course). Food, Drinks and Party Supplies are to be provided by parents. Gymland will supply invitations and balloons. 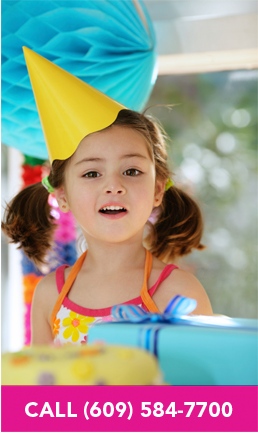 For other party options, please contact us at (609) 584-7700. Click icons below for more package details.